If you are not 100% satisfied, simply cancel at any time during your active subscription and request a 100% refund of the price you paid for your current subscription term. All issues received are yours to keep, with no further commitment of any kind. Special Introductory Offer for New Subscribers Only! 12 monthly issues for the special low price of $39.95. 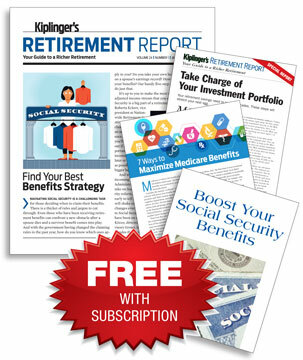 3 Free Special Reports: Boost Your Social Security Benefits, 7 Ways to Maximize Medicare Benefits, and Take Charge of Your Investment Portfolio.